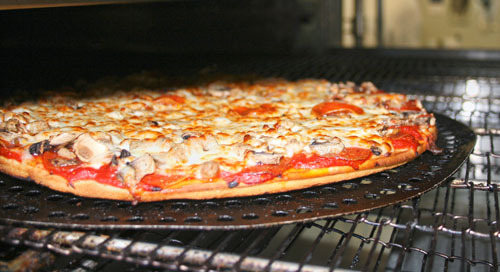 Delicious Personal Pizza For Small-Medium Appetites. 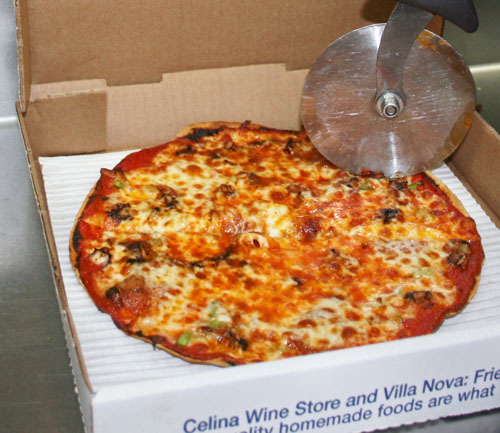 Celina Wine's Fresh Dough Is Our Most Popular Crust. Made Daily From Scratch And Stretched To A Medium Thickness. We Have Been Told Many Times That It's Ohio's Best! Thicker Than Our Fresh Dough And Baked In A Deep Dish Pan For An Extra Crunch. 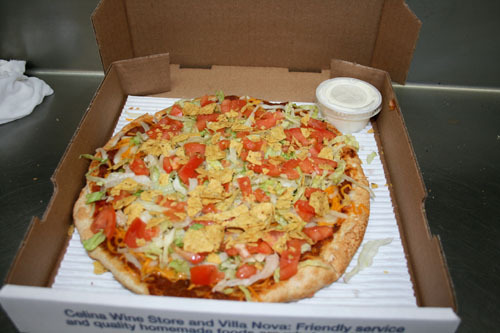 Your Choice Of Crust Layered With Our Homemade Mexican Meat Sauce, Hot Or Mild Sauce, Onions, Lettuce, Cheese And Tortilla Chips. Our Top Quality Ingredients On A Thin Flour Tortilla And Baked. Lighter But Still Delicious! comes from a small Blue Ribbon award winning cheese maker in Wisconsin. It costs us more, but we think it is well worth it.